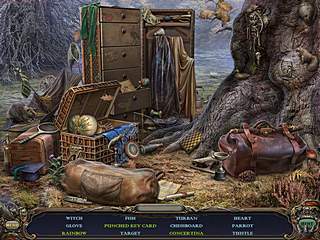 This new release into the hidden object puzzle adventure genre is polished in every way possible as long as you don't mind some horror as you travel into those vertual worlds. Haunted Manor: Queen of Death tells you a story you wouldn't want to be a part of. 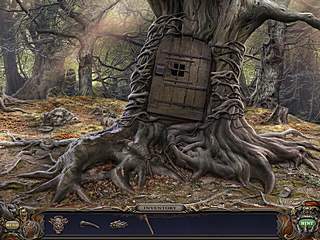 The story of the game introduces you to a girl you are going to play as here. She receives a letter from her sister asking her to come to back home. It seems like a not a big deal, but the thing is that there is more to their relationship. They never really got along, and the distance was actually a great thing for them as it kept the other sister away from your character. Now your parents have died and their death might have been caused by something supernatural. This supernatural demonic something isn't trying to hide from you at all. You immediately see the ghosts and monsters as you get close to the mension. The presentation of the game is oneof the best that you have seen in this genre. The graphics are outstanding and beautifully drawn. The sounds and music fit into the atmosphere just perfectly. There are many hidden object levels for you here. The difficulty level is nicely balanced here as well as in the mini-games that you get to play every once in a while. Then there are also many items to find and use elsewhere and locations to explore. The game is super creepy with this little girl possessed by a demon or something, but it is still great in its every other aspect. I want to sleep, to forget. To hncage the past. My wife and baby girl back. Unlimited ammo and a licence to kill. Процитировал Макс Пейна день прошел не зря. This is Haunted Manor: Queen of Death review. Download this game here.